Our Outdoor Kitchens Surpass the Test of Time | Kitchen Cabinets and Design Kitchen and Bath remodeling. Bringing on Atlantis outdoor cabinetry products into our product portfolio helps our team here at Da Vinci Cabinetry design spaces outdoors that will allow our customers in the beautiful and sunny Bonita Springs, Naples, and Estero, FL area to enjoy the outdoors year-round. In the outdoor kitchen cabinetry market, they are unmatched in functionality and durability. The material used to construct the cabinets is made of Perma Tek, which makes the cabinetry weather proof and even comes with a limited lifetime warranty! Our team at Da Vinci Cabinetry also loves to go green-and that is why we love that Atlantis products are 100% recyclable. The outdoor cabinetry doors come in 11 styles and 13 colors! Ranging from painted finish doors to Brazilian Cheery, TT Poplar, and Teak. How long does it take to design and construct an outdoor kitchen? 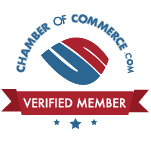 What we love about Atlantis products is that they service a variety of different lead times. If you are in a hurry to get your outdoor kitchen completed, there are Perma Tek colors that can be completed in as little as 4 weeks. Other colors of Perma Tek as well as wood stains, take 6 weeks. On average, the design and construct stage for an outdoor kitchen is outlined as follows. As soon as we receive initial approval of the design, we are able to order the cabinets. About a week into the process, we receive a tentative delivery date, and then we can proceed and schedule installers to create your dream outdoor kitchen space! On average, it takes about 1-2 weeks for installation. So the estimated time for completion of an Atlantis outdoor kitchen, usually ranges from 6-8 weeks. What are the price ranges of outdoor cabinetry? Outdoor cabinetry products comer in three different price categories. Category A, the entry level door material is Perma Tek which offers 7 different door styles that come in 13 different paint colors. Category B, the medium level of outdoor kitchen cabinetry is TT Poplar wood and Brazilian Cheery finishes. These finishes are available in 3 different door styles: Boca Raton, Jupiter, and the classic and popular Shaker. Category C, the elite level, of outdoor kitchen cabinetry, is doors constructed in Teak wood. This wood is available in the same door styles as category B. What makes our outdoor cabinetry special? The outdoor kitchen cabinets that we carry are built to order weather proof cabinetry. They are frameless, full access box construction cabinets made of perma tek material, making them nearly impossible to destroy. Each cabinet includes weatherproof, rust proof, stainless steel concealed hinges and weatherproof, rust proof, stainless steel drawer slides. 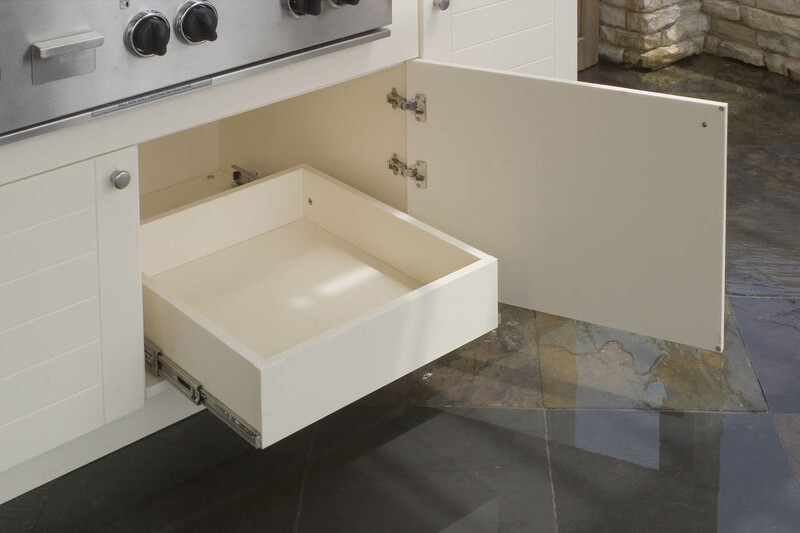 Another great feature is that these outdoor cabinets come on adjustable legs, with an optional “snap on” toe kick. Which makes clean up after a storm a breeze! Whether it is rain, snow, or sweltering temperatures, our cabinetry can withstand nearly all of what mother nature throws at it. These cabinets withstand temperatures above 250 degrees and -100 degrees Fahrenheit. 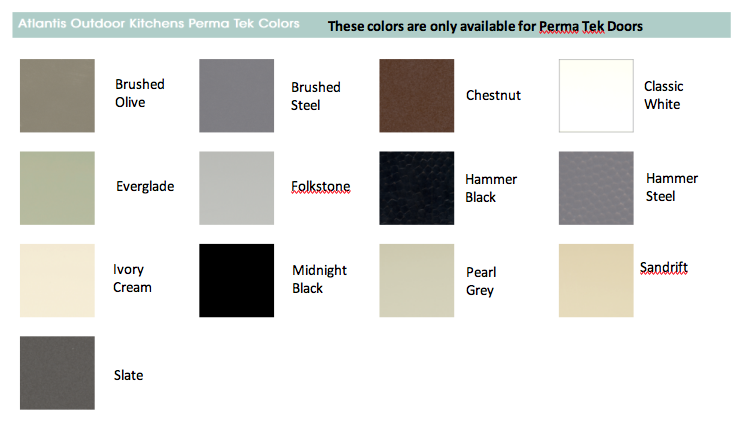 Perma Tek, which is what the cabinets are constructed of, is sealed with UV inhibitors which prevents the doors and cabinet boxes from fading. These outdoor cabinets also offer a variety of different interior finish options. Over 13 colors to choose from for interior color options. Your outdoor kitchen cabinetry interior can be in the shade ivory cream, or midnight black, or anything in between. Who ever heard of outdoor kitchen accessories? Our team here at Da Vinci Cabinetry loves creating kitchens that are beautiful yet functional. This is another reason, of hundreds, why we are proud to carry Atlantis outdoor cabinetry. These outdoor cabinets can come with accessories such as pull out waste baskets, propane tanks storage, pull out trays, tray dividers, spice racks, silverware dividers, and more, all to make your outdoor kitchen as functional as possible. How do I take care of my outdoor kitchen? Because the cabinets are constructed of Perma Tek, they can simply be hosed down to clean. However, if the door style chosen for the outdoor kitchen is a wood finish, meaning it is a Brazilian cheery, a poplar, or a teak, it must be treated with teak oils every few years to maintain its color and prevent fade. Our outdoor cabinetry manufacturer practices what they preach-not only do they promise to provide a product that will be not only beautiful but withstand the test of time, but also backs this mission up by providing customers with a limited lifetime warranty on Perma Tek and 15 year warranty on outdoor kitchen cabinet doors and trim.